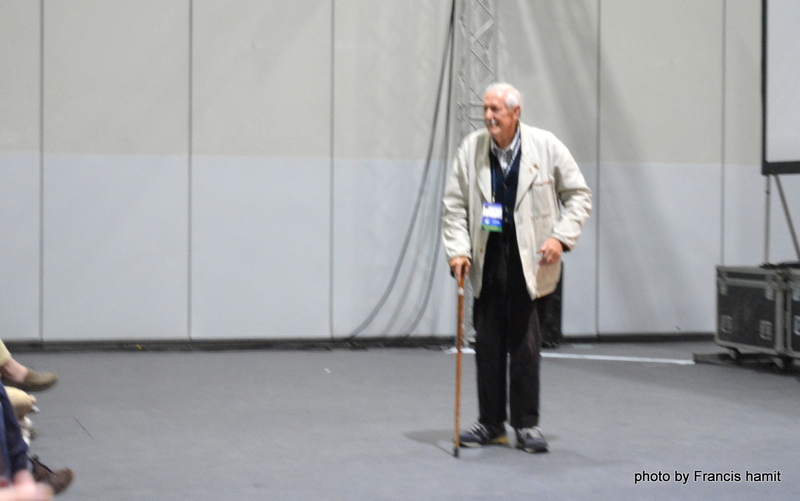 This entry was posted in 50s Fanhistory, 60s Fanhistory, 70s Fanhistory, 80s Fanhistory, 90s Fanhistory, In Passing and tagged Brian Aldiss, Conspiracy, Damon Knight Grand Master, Loncon 3, Loncon I, Loncon II, Seacon by Mike Glyer. Bookmark the permalink. 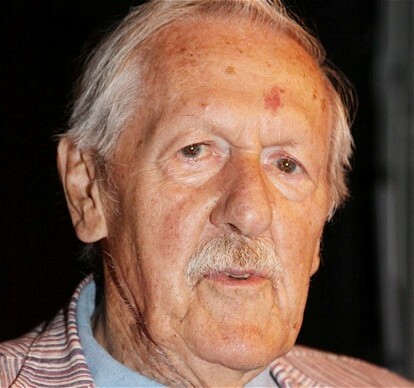 Sad to see Brian Aldiss go, although he did have a good innings (as we say in lesser Britain). 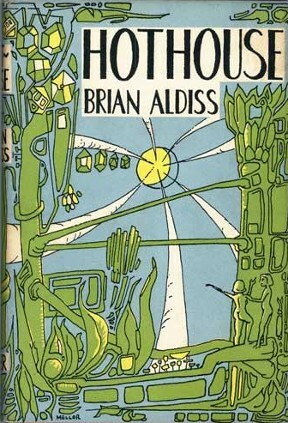 Hothouse was the first grown-up SF I read, and I read many more from him over the years, and enjoyed almost all (tho’ Report On Probability A bored me to death (so how come I’m still here, huh?) and The Malacia Tapestry was almost as dull). Still, anyone who invents the convention pork-pie wars with Harry Harrison has to be a fannish hero. So long, Brian. An honour to have met you in the lift at an Eastercon, once. Is Hothouse/The Long Afternoon of Earth a story about how the earth and moon are now tidally locked and Earth is now basically a vast, gargantuan jungle and humans get to the moon by hiding in vegetable pods? Because if it is, I read something of Aldiss’s as a young teenager and it’s clearly stuck with me, even if I couldn’t remember the title or author. Yep, that’s Hothouse. Loved that book, and read it three or four times. Mind you, I read Greybeard and The Canopy of Time just as many. Adolescence, where are you now that I really need you? Should also mention Non-Stop. Even though I recognised at the time it was basically a reworking or Heinlein’s Orphans In The Sky, I still rated it very highly. God, I’d love to find the time to go back and re-read that stuff. Aldiss was a very literate writer who loved sf and the people in it. Somewhere in a box I have a copy of Billion Year Spree with a lurid purple cover of the “what were they thinking” type. However, the contents were lucid and often sent me off to encounter works I might not have found on my own. A wonderful writer, whose collection, “Galaxies Like Grains of Sand,” and brilliant novel “Non-Stop” (“Starship” in the USA) were highlights of my early teenage years. I was able to publish articles by him in my ALGOL. In 1987, following the Brighton World Science Fiction Convention, I attended a party at his Oxford home. He lived next door to Richard Adams, whose “Watership Down” is so famous. For someone new to England, the landscape around Brian’s house was mystical and mythical. The party, whose attendees includes authors and editors including Geoff Ryman, Robert Silverberg, Stephen Jones, Jo Fletcher, and Ellen Datlow amongst many others, remains a highlight of my memories from that year. Farewell, Brian; you have gone on, but your novels, short stories and many other works remain—and in print, too! Actually, he didn’t live next door to Richard Adams: he lived next door to the brother of William Horwood, and the wood at the end of his garden was Duncton Wood, made famous by Horwood’s series of novels.